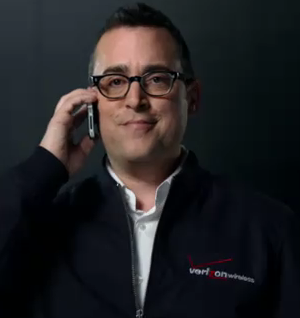 The Latest Verizon iPhone Commercial Strikes At AT&T: "Yes, I Can Hear You Now." We’ve made note of both the first Verizon-made iPhone commercial and then the first Apple-made Verizon iPhone commercial. Both are effective and interesting in different ways. But neither takes a shot at AT&T. But a new Verizon one that has just started airing on television, does. At least, indirectly. The new commercial, which we’ve embedded below compliments of quick-with-the-TiVo TechCrunch reader Kacy Fortner, has a very different tone than the initial “clocks” Verizon commercial. In this one, there is triumphant music playing as glimpses of the iPhone 4 are shown. It almost seems as if it’s meant to conjure up Stanley Kubrick’s 2001: A Space Odyssey. Then the music speeds up. A call comes in. And the person answering the call is revealed. It’s the Verizon guy! Boom! Then we get the typical message of Verizon’s network being the “largest and most reliable”. Very nice. Wonder if Apple was hesitant at all to sign off on it? Or maybe they just prefer not to know as their two partners about about to enter an escalated war of words with one another. For what it’s worth, I agree with the commercial. Update: Verizon has just posted a higher-res version so I’ve included it below.